Eventually, a single chatbot could become your own personal assistant to take care of everything, whether it’s calling you an Uber or Lyft or setting up a meeting. Facebook Messenger or another platform might let a bunch of individual chatbots to talk to you about whatever is relevant — a chatbot from Southwest Airlines could tell you your flight’s delayed, another chatbot from FedEx could tell you your package is on the way, and so on. Microsoft CEO Satya Nadella said that chatbots, which he sees as the next big thing, will have “as profound an impact as previous shifts we’ve had”. He further elaborated that this will put chatbots – which he calls “conversations as a platform” – in the same category as past paradigm shifts like the graphical user interface, the web browser and the iPhone-driven adoption of the touchscreen. Why bots Are Such A Big Opportunity? 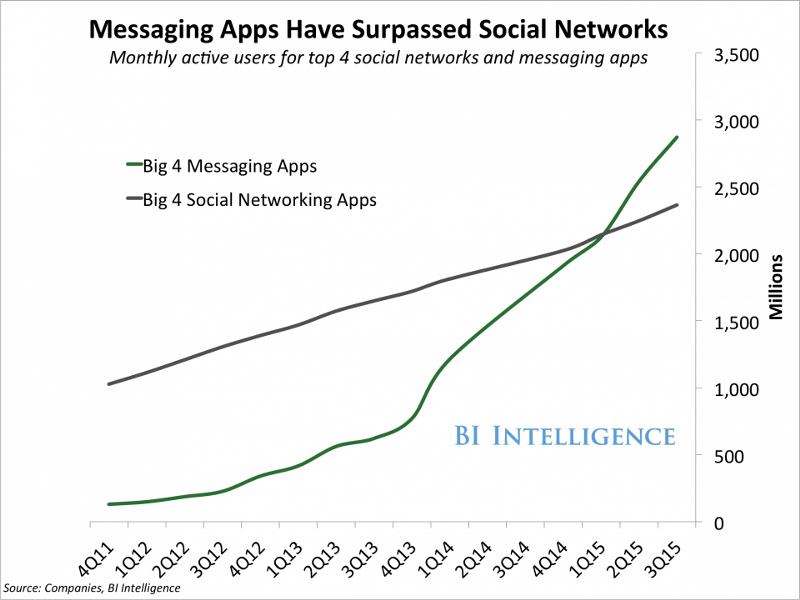 After desktop in the mid-80s, browser & websites in the mid-90s, smartphones & apps in the mid-00s, it’s the turn of messaging & bots in the mid-10s. And there is reason behind it, Bots foster natural communication. They are a natural extension of how we communicate and use our mobile phones. Thinking logically, if you want to build a business online, you want to build where the majority of prospective users are. That place is now inside messenger apps. This is why bots are such a big deal. It is potentially a big business opportunity for anyone willing to jump headfirst and build something people want. 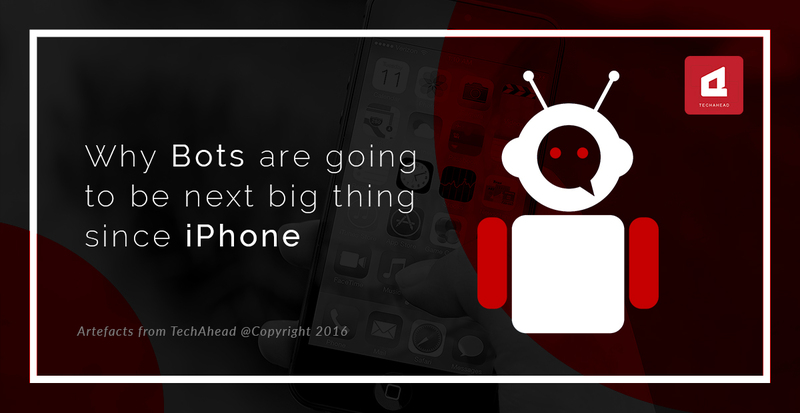 At TechAhead, we can help you in grabbing this huge opportunity and assist you to be ready with your mobile app with bot integration. Get a Free Quote today.